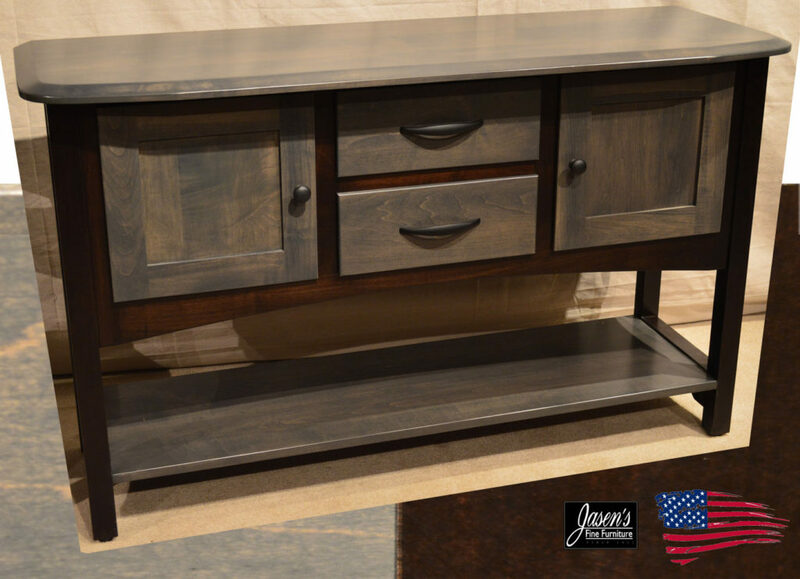 Amish Richfield Server features modern 2 tone style with gray and onyx stains on maple. The server can be ordered with any wood specie, stain, and hardware. The buffet can also be ordered to your custom dimensions! Made in USA!